I made these santa hats (pictured above) to be included in one of our special requested holiday delivery for a NICU. Confession: I sang Christmas carols as I whipped these little hats out. These were made using a garter stitch brim (purl, then knit for 5 rows) to allow for sizing flexibility and the rest of the hat was e-wrap for about 4 1/2 inches. Close the hat normally and attach a pom-pom. 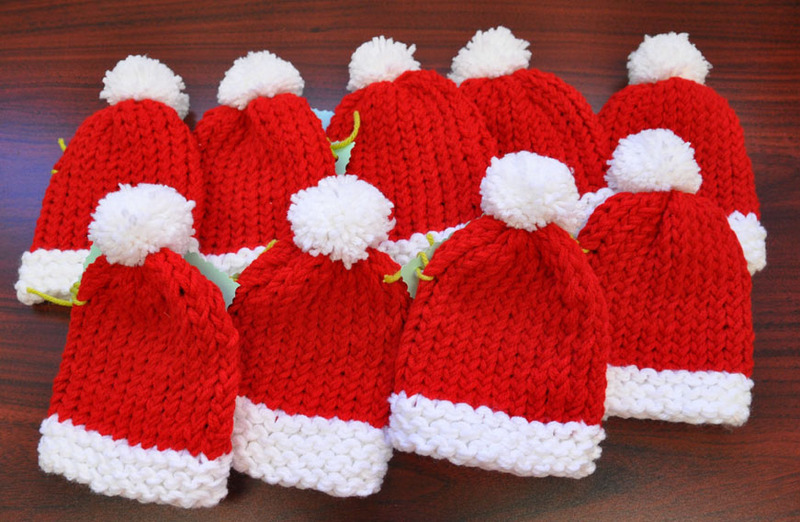 We hope these hats will bring hope and Christmas cheer to everyone who receives one!